With how vast the internet is, competition is really tight when it comes to positioning one’s website to attract more readers and followers. For those who want to rank higher in search engines, the best solution is to have SEO-friendly blog posts. While many see SEO (search engine optimization) as an unfamiliar territory, there are actually simple, but very helpful things you can do to drive more traffic to your website. 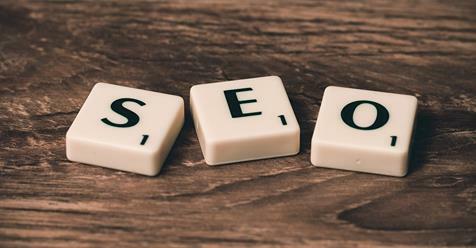 In achieving SEO-friendly blog posts, content is one of the key factors. Having quality content in your website is the best way to boost your rank in search engines. One rule to remember is this; if people enjoy what you are writing, the search engines, will enjoy the posts too, improving your rank. It will also be helpful if you post new content at least every week. Search engines take into consideration the consistency of a website in posting awesome content. A good blog post should be at least 400 words. For most search engines, posts that contain fewer words are considered low in quality. According to experts, the best length of an article is 400 to 800 words. In addition to the article length, it is also crucial that your content is original and not copied from other websites. 100% originality is a must. A good title can make a big difference in the amount of attention your blog post will receive. Because of this, you should pick something that can help you entice people to read it. As for the preference of search engines, the best number is 66. Always try to keep your title around 66 characters only. Aside from making it on point, don’t forget to include the keyword phrase. What you need to remember is that search engines cannot see the images you have uploaded. Therefore, what you can do is to make the engines understand the pictures by using the “Alt text” technique. To do so, just fill out the “Alt text” field with the keywords that you have. This is done when uploading an image through the media manager. Another way to optimize your images to help in your search engine ranking is by adding a description or title tag. Internal linking is pretty simple. It is the act of linking your current article to a past post you have written in the website. By doing this, you will be able to lower your bounce rate (the percentage of viewers who goes away after viewing just one page). The lower the bounce rate is, the higher the number of page views you will accumulate. And as a result, your search engine rankings will improve. While some are weary about this, it is actually helpful to open a comments’ section. By writing an article that is open to feedbacks, you will be able to attract more readers, which will eventually drive more traffic to your website. Did you know that according to a statistics, around 17% of people spend only less than four seconds on a website without a video? On the other hand, the same percentage is willing to watch 2.7 minutes of videos at a time. This shows how a video can be a powerful tool to enhance your SEO-friendly blog post. Yes, writing SEO-friendly articles can be tricky at first, but if done correctly, it can help you to achieve the goals that you have for your website. By increasing your web traffic, more doors of business opportunities will also open. If you are still new with the SEO concept, don’t worry, just follow the tips listed above and you will surely see improvements in your search engine ranking. Previous post Check in and Recharge: Seven Ways To Improve Your Business Writing Next post Oxford Comma: Is It Important?